When it comes to tree removal, safety is our first priority. With Santa Barbara Tree Care, we guarantee that all of our equipment is monitored, checked, and well-maintained. We never stop learning and training our employees to hold them to the highest standards of safety and excellence. We maintain a culture of safety, not only for our employees, but also for our clients. We insist that this is the best way to preserve our injury and accident-free record. We will always ensure your safety as a reliable service provider. Have an emergency? Our team is on call 24-7 to meet your emergency tree removal or trimming needs. If you do have an emergency, it's recommended that you call as soon as possible and we'll get an arborist out to your property immediately. Damaged or weak branches can be dangerous and can also cause a tremendous amount of damage to your property if they fall. No job is too big or too small for our team. We are dedicated to serving the Santa Barbara community and are sure you're going to walk away satisfied, knowing you made the right choice for your removal service. We don’t take removing a tree lightly. The decision should be considered carefully, and by a qualified service that hires skilled and licensed people who operate in a safe manner. There are certain signs that you should look for which indicate that tree should be removed. If you need some removal services performed, start by looking at the roots. You always want to look at the base and work your way up. Is there heavy soil at the base of the trunk? Are there large cavities, or dead hanging branches up above? Are the branches without new growth, near or at the end of them? Pealing or chipped trunks can be another indicator of a dying tree. You want to consult a professionally trained arborist to determine the best number of options. Sometimes, you will have no other choice but to make the decision to remove it, but perhaps with a certified arborist, other options can be made available. Call in professional expert in Santa Barbara who knows what they’re doing when it comes to helping you out? There are so many reasons why you would need to turn to SB Tree Care for all your needs. The last thing you want is for a nasty storm to come in and leave your home at risk of damage from all the incoming debris from surrounding trunks, branches, and leaves. After a serious storm, high winds and rain can reduce healthy trees to nothing more than hanging branches and debris. What were previously some of the strongest, healthiest organisms in the forest might now be leaning against your terrace threatening to fall against your home at any moment. This poses a serious hazard not just to your home and your vehicles but to your family. If the sapling is healthy but some of the branches or limbs are leaning dangerously close to your property, electric lines, or car, it might be in your best interest to simply have some trimming services completed, if not removal entirely. Understand that severe storms can happen unexpectedly and while you may not have needed any tree removal prior, you might seriously need it now especially if the storms and the rains have washed away soil that was integral to the sturdiness which is usually what forces a tree to start leaning dangerously close to your home. Your trees may have become victim to pests or diseases that are causing decay. The ones that have become unstable because of pest damage or rot can easily fall over especially if a severe storm happens. If you have a towering perennial near your garage, standing up right next to your porch, or leaning over the front patio, it can be in your best interest to simply remove the tree quickly so that you not only prevent it from falling over and causing damage, but you stopped the spread of the pests or diseases in question. If you are unsure whether your trees are healthy or not we can look for discolored leaves, weakened branches, or rotten roots. On a related note, you might notice there are holes or cavities in the trunks. These are indicative of a tree that is no longer healthy or has been compromised. If you have a problem as simple as woodpeckers who continue to bore holes all the way to try to find a new shelter for themselves, it might pave the way for other animals to burrow their way inside hollowing out the interior of your trunks. When this happens, the tree is no longer a structurally sound as it once was. Simple decay or insects can exacerbate these problems and if you don't remove the affected area or remove the tree entirely it can cause serious damage when it invariably falls. We can help you to determine whether your tree is beyond saving and if it is, we can remove it promptly. Roots from your surrounding trees could grow straight into the ground and if they do they might eventually expand into your plumbing which can create leaks, clogged pipes, even break up the foundation of your basement or compromise the structural integrity of your patio. Invasive roots can damage your walkways, causing your curb or driveway to buckle and crack. In certain cases, we can eliminate part of your root system without compromising the entire tree but in the worst of cases, it will need to be removed, roots and all, so that further damage does not ensue. There are times when your home or a structure on your property is constructed a safe distance from a young tree. But as time goes on, others in the vicinity grow tremendously and that expands. Before too long, a whole forest begins to encroach on your property. If trees are planted too closely the power lines they might fall during a storm and knock out the power for your entire neighborhood. If they grow at a slant, too closely to your roof, they could easily fall over or break during a storm and cause damage to your home. Even if the limbs are the only things touching the siding of your house they can result in myriad issues. Limbs that dangle over your roof can present pathways for rodents and other animals to traverse your home and infested. Insects too can make their way easily into windows or doors. Branches can also cause mold growth especially when they lean over your roof and accumulate fallen leaves which mixes with rain water and other debris. Our professional can help you reduce the risk of encroachment. Get Free Tree Cutting Estimates! Once you have made the decision to hire a professional tree removal company you need to make sure that they are properly insured and have the necessary credentials. No company should be hesitant about providing you with an estimate. Estimates also shouldn't be something that you pay an extraordinary amount to receive. The more experienced a company is, the faster they should be able to give you an estimate because they have done similar projects for many years and they know approximately how long it's going to take and how much it's going to cost. They should be able to tell you upfront what their procedure is, how much they charge, what equipment they use, all without hesitation. They should also be very clear about what is covered under the cost you pay. 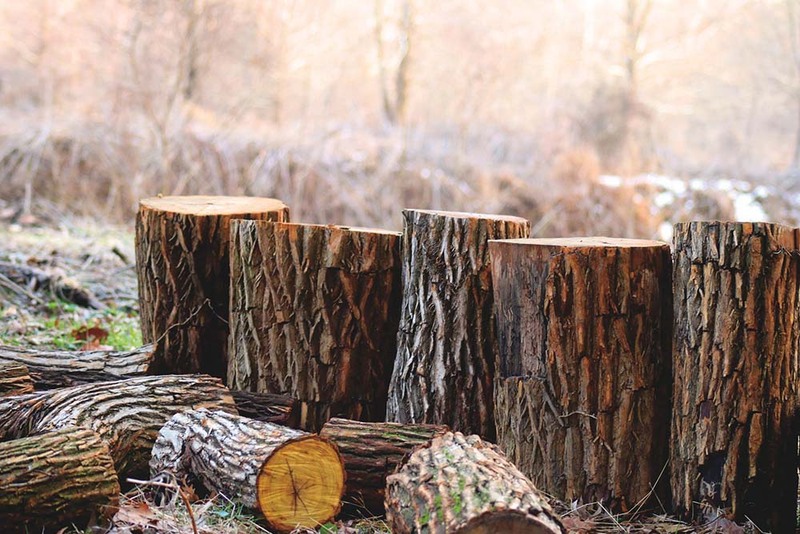 When it comes to tree removal some companies will only include the process of removing the tree itself and they will charge separately for the service of removing the stump or grinding the stump. Others will include all of this and comprehensive charge. It is in your best interest to figure out what you are going to have to add in terms of extra services, if anything. They should be open about estimates, time, costs, and the equipment they plan to use too. That said, working with our company guarantees all this and more!